Site-specific interactive installation for Secret Cinema (Star Wars Episode). 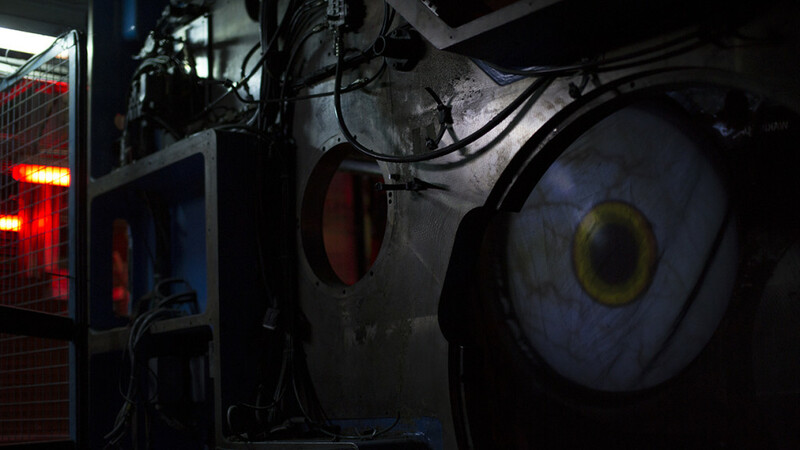 Half human, half machine, Watch Out displays a giant red eye monitoring visitors who walk through the corridors of the abandonned warehouse where is set the immersive theatre created by Secret Cinema. Using one of the circular cavities of the former printing press’ building as a blank canevas, we created an interactive eye projection that follows every movements of the passers-by.